Determining how much a parent must pay in child support can be a complicated process, as it requires an analysis of both parties’ incomes, properties, and expenses, as well as consideration of the family’s time sharing schedule. In most cases, courts adhere to a strict formula when taking these factors into account and determining child support payments. There are, however, certain situations where courts are willing to reduce the amount that a parent owes in child support. 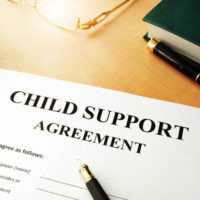 For instance, when the non-custodial parent is responsible for significant medical expenses, he or she could have the child support order reduced, so if you are responsible for paying hefty medical bills and are concerned that it will affect your ability to pay child support, you should strongly consider speaking with a child support modification lawyer who has experience handling these kinds of matters and can ensure that your judge is aware of and takes your unique circumstances into account. When considering how much child support to award, judges take a number of factors into account, including the type of time sharing agreement that the parties have in place. If, for instance, both parties split parenting time and decision making responsibility down the middle, both parents could be required to accept financial responsibility for the child while he or she is in their custody, or may have to make small payments to the other party when the child is not in their custody. Income and job situations will also play a role when making these determinations. If, on the other hand, one parent is responsible for the majority of major decision making or has a greater share of parenting time, the other parent could be required to make regular child support payments. However, if the parent who is required to pay for the child’s financial support is facing unemployment, disability, or excessive medical bills, a court could be willing to step in and modify the child support order for a certain period of time. When a parent is seriously injured in an accident or is diagnosed with a debilitating medical condition, he or she can obtain relief from making child support payments by filing a petition with the court. At this time, the petitioner will need to describe his or her situation and explain how it is causing a hardship. Evidence of monthly medical bills and paychecks is often crucial to obtaining a modification of a child custody award for this purpose. Expenses that are not covered by an insurer and so must be paid out-of-pocket by the parent. If these expenses reach the level of a hardship, a court could be willing to lower a child support award until a party is back on his or her feet. 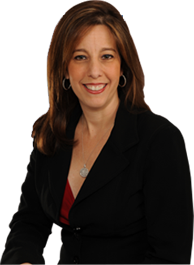 To learn more about modifying a child support order, please call dedicated and compassionate Fort Lauderdale child support modification attorney Sandra Bonfiglio, P.A. at 954-945-7591.